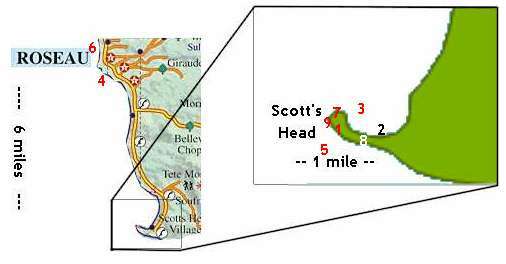 Here are nine views of Scott's Head, the most southerly point of Dominica. Have a look at the maps ... can you work out where the photographer was when each picture was taken? The numbers on the map don't match the numbers on the pictures!